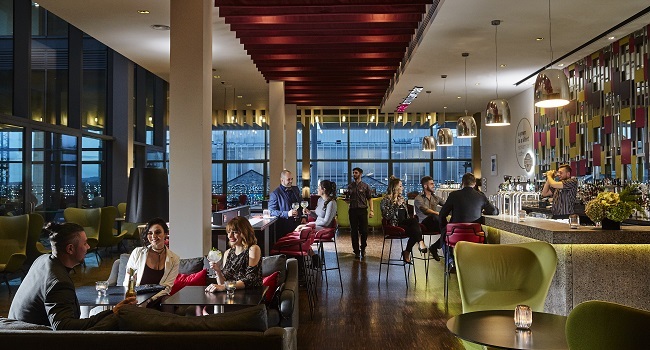 The hemi bar at the gibson hotel, located on the third floor is bright and spacious and offers a mix of European dishes. hemi bar boasts a private courtyard – the perfect place to relax and enjoy your specialty cocktail while soaking up the buzzing atmosphere. Treat yourself and a friend for a quick lunch break during the week or relax with a longer lunch at the weekend. Choose from the delicious menu below and enjoy your time at hemi bar. TheTaste and Hemi Bar are offering you lunch for two people for only €25. This lunch includes any 2 sandwiches or salads & 2 coffees.